There are many festivals. Also, Festival of metal bands with female singers are not rare. But festivals with free entry are rather unusual. Thus, the Metal Queen Burning Night Festival in the Italian region of Piedmont, north of Turin, probably has a unique selling point. The anniversary edition in 2018 took place in Strambino. The venue of the sixth festival will be La Tenuta Lounge BAR in Cuceglio. From the 24th to the 26th of May four / five bands will be performing every night. 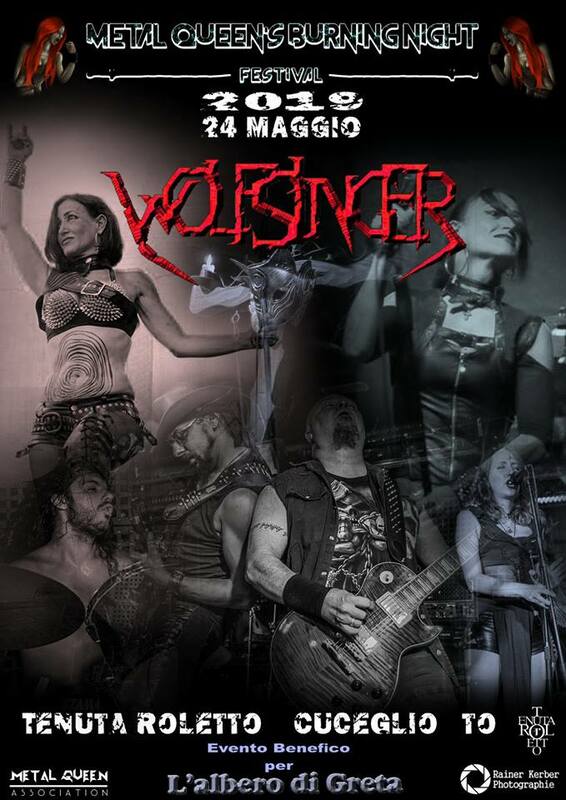 Also, this year, the organizers (Associazione Culturale Metal Queen) have again started a crowdfunding campaign to finance the event. Like last year, the organizers of the festival will be on stage on Friday. The band Wolfsinger play classic Heavy Metal. Power woman Raffaella Santini and her bandmates have invited guests again this year. On the show you may certainly be curious again. 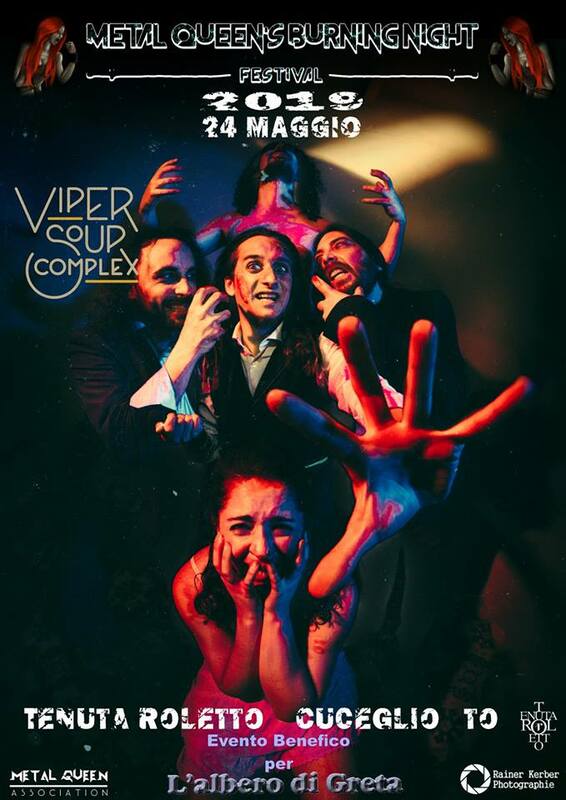 And I will meet the Maltese band Viper Soup Complex again. Thanks to the acting skills of frontwoman Annemarie Spiteri, this gig also promises to be something very special. The band will surely present their current album “Red Fugue“. Maybe you can also hear one or the other new song. 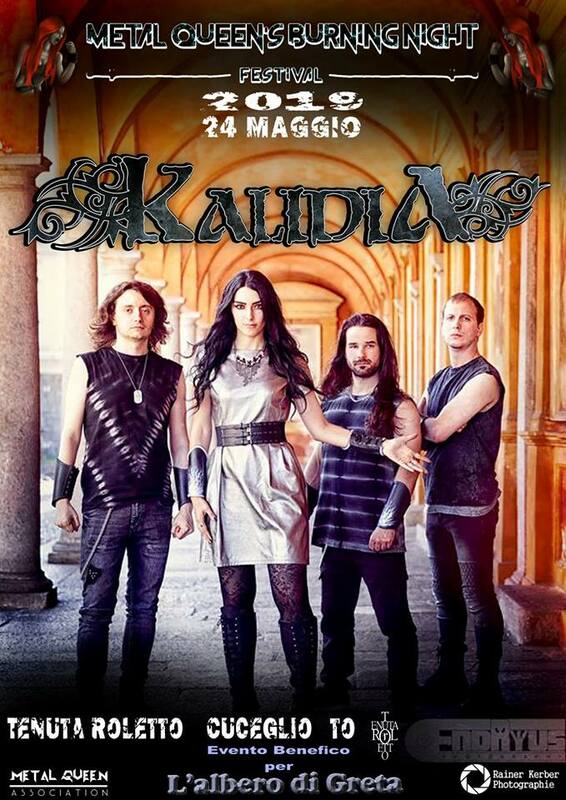 Kalidia (from Lucca, Toscana) around frontwoman Nicoletta Rosellini (Walk in Darkness) also recently released a new album (“The Frozen Throne“). The evening will be completed by the Italian MadHouse rock band. In March the debut album “MadHouse Hotel” will be released. Saturday also promises a lot of variety. Mechanical God Creation from neighboring Milan bring Death Metal to the stage. Which also arriving from Milan Holy Shire describe their style as fantasy metal. The influences include AC / DC, Black Sabbath, Children of Bodom and Blind Guardian. Alternative Metal will be presented by Snei Ap from the Emilia-Romagna region (Modena). Another band will play Death Metal, but this time mixed with a portion of Thrash. Self Disgrace are located in the province of Monza and Brianza. Last year, the Sunday was the so-called Revival Day. It played bands that have performed in the years before at the festival. That seems a bit different this year. 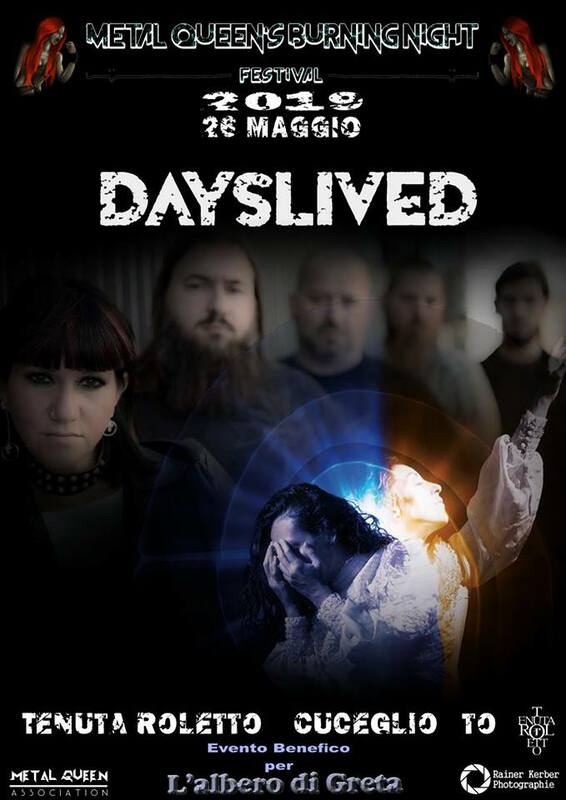 At least, Dayslived from Turin played last year and opened the Friday session. They were able to inspire me with their melodic heavy rock. In April the new album “Flectar” will be released. Singer Sophia from the recently formed band Dalian’s Trap also appeared on stage last year with their band RoadSkill. According to Facebook, influences from punk, hard rock and heavy metal are processed. In addition, Skunk Head will pay tribute to the great Skunk Anansie. 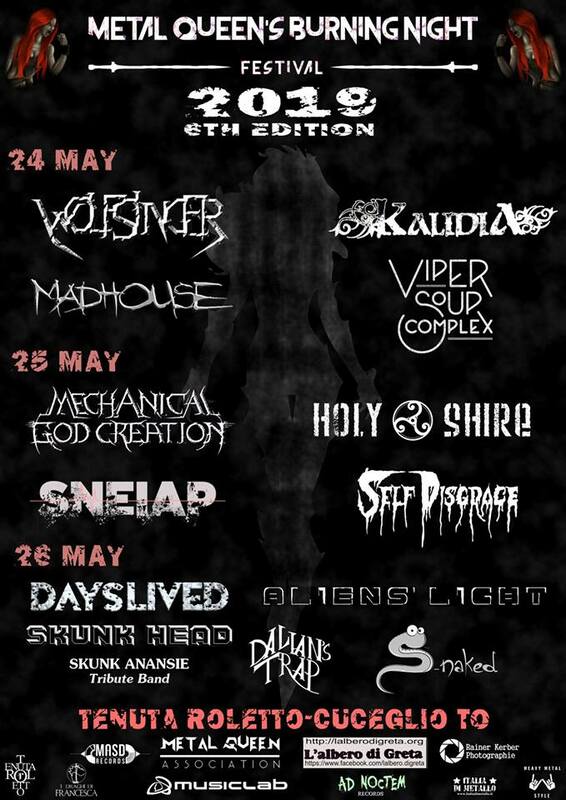 The closing evening will be completed by Aliens’ Light (Industrial / Metalcore, Milan) and S-naked (Punk Rock). The sixth edition of the Metal Queen’s Burning Night Festival promises a lot of variety. From hard rock to heavy metal to punk or death metal, there’s certainly something for every taste. Italy is a travel destination throughout the year, but metal fans should definitely remember the last weekend in May. It is worth it.